Born in 1962, Barthélémy Jobert has been a Professor in History of Modern and Contemporary Arts (heritage) at University Paris-Sorbonne since 2004 and was Vice-President of the Scientific Council of Paris-Sorbonne from 2008 to 2012. Graduated from Ecole Normale Supérieure and having passed an agrégation in History, he was “Teaching Assistant” at Harvard University (1986-1987). He was also teaching assistant at Paris-Sorbonne from 1988 to 1992. After having been a “Focillon Fellow” at Yale University (2000), he became Professor in History of Modern and Contemporary Arts at Grenoble II-Pierre Mendès-France University (2001-2004), before joining Paris Sorbonne as a Professor in 2004. He is a specialist of European arts of the XIXth century, and particularly of French Romanticism and more specifically of Eugène Delacroix. He has been director of the « Corpus » programme of the French National Research Agency (ANR), as well as of the e-edition of Delacroix’s correspondence (www.correspondance-delacroix.fr). 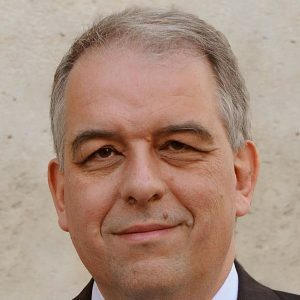 He has also been commissioner of several expositions in France and abroad (Louvre, French National Library, Museum of Music, Museums of Grenoble and Arras, Museums of Shimane and Yokohama, Japan).